If your hands can mix and mash, what job might you have? What if your hands reach, wrench, yank, and crank? 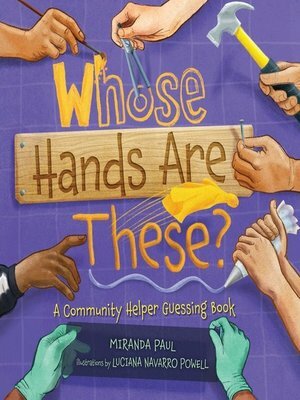 The hands in this book—and the people attached to them—do all sorts of helpful work. And together, these helpers make their community a safe and fun place to live. As you read, keep an eye out for community members who make repeat appearances! Can you guess all the jobs based on the actions of these busy hands?